Προσφέροντας ποιοτικά καταλύματα στην θρησκευτικά αξιοθέατα, περιήγηση σε αξιοθέατα, πολιτισμικά αξιοθέατα περιφέρεια της Inle Lake, το Inle Cherry Queen Hotel είναι μια δημοφιλής επιλογή τόσο για αυτούς που ταξιδεύουν για δουλειές όσο και για τους τουρίστες. Από εδώ, οι επισκέπτες μπορούν να έχουν άμεση πρόσβαση σε όλα όσα η πόλη έχει να προσφέρει. Με την βολική του τοποθεσία, το ξενοδοχείο προσφέρει εύκολη πρόσβαση στους προορισμούς της πόλης που πρέπει οπωσδήποτε να δείτε. Οι εγκαταστάσεις και οι υπηρεσίες που παρέχει το Inle Cherry Queen Hotel διασφαλίζουν την ευχάριστη διαμονή των πελατών. Για να ονομάσουμε μόνο λίγες από τις εγκαταστάσεις του ξενοδοχείου, υπάρχουν τα 24ωρη υπηρεσία δωματίου, δωρεάν WiFi σε όλα τα δωμάτια, 24ωρη φύλαξη, ημερήσιος καθαρισμός, υπηρεσία ταξί. Η ατμόσφαιρα του Inle Cherry Queen Hotel αντανακλάται σε κάθε δωμάτιο. Στην ιδιοκτησία θα βρείτε επίπεδη τηλεόραση, κρεμάστρα ρούχων, δωρεάν ποτό καλωσορίσματος, καθρέφτης, παντόφλες, καθώς και πολλά άλλα. Το ξενοδοχείο προσφέρει μια άριστη ποικιλία ψυχαγωγικών εγκαταστάσεων, όπως τα σπα, μασάζ. 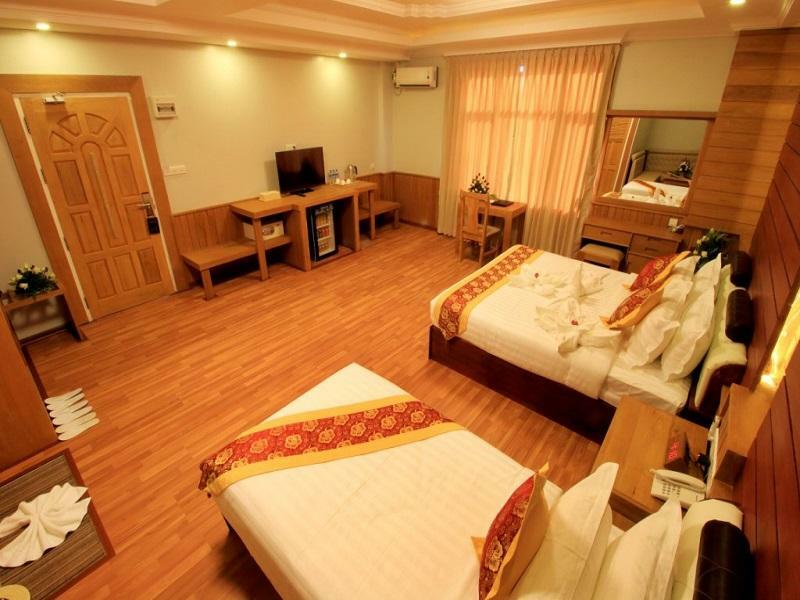 Το Inle Cherry Queen Hotel είναι ο ένας και μοναδικός προορισμός για εσάς που ψάχνετε ποιοτικά καταλύματα στη Inle Lake. 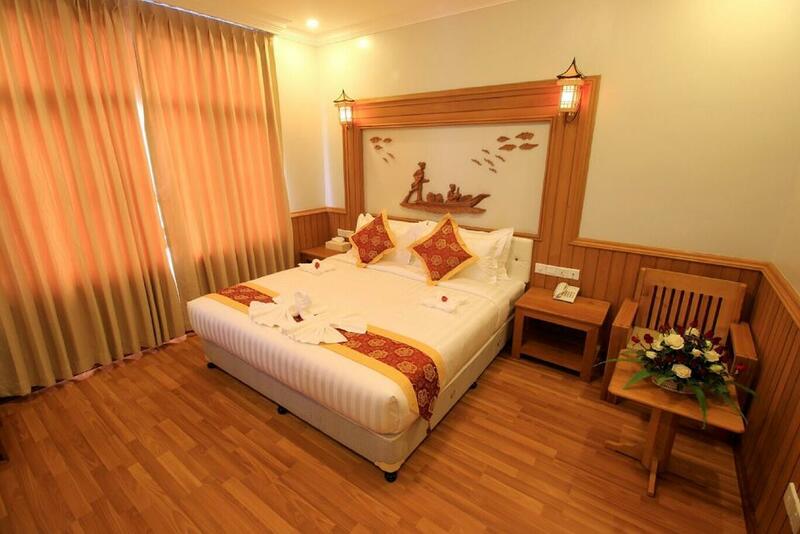 My husband and I stayed at the Inle Cherry Queen Hotel on 15 January 2019 for two nights. The hotel is located in a quiet street . 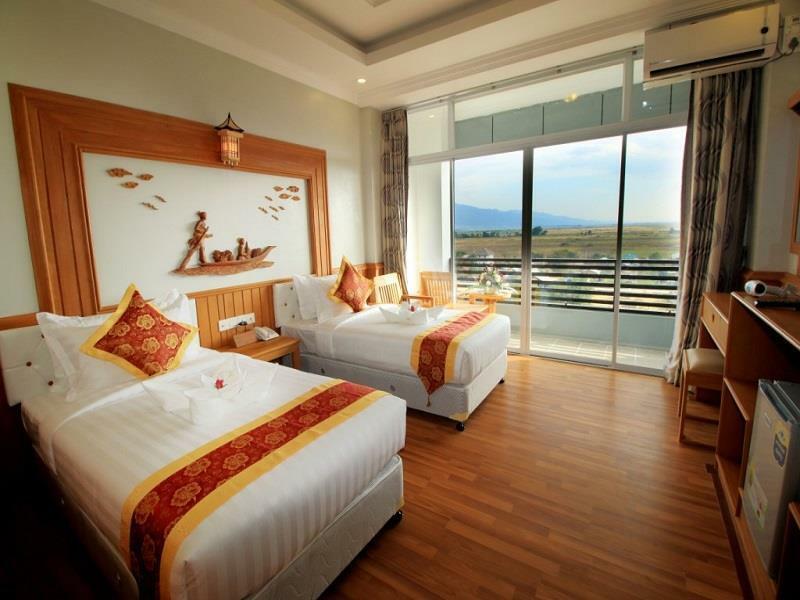 We stayed in Room 602, very spacious, bright and clean, with a balcony and a view of the Inle Lake. There is an elevator. Breakfast is a-la-carte if there are not too many hotel guests; if not you get buffet breakfast. It's about a 15 minute walk to the "Mingalar Zay", the main market in town and you can come back to the hotel on a motorised sidecar which is quite cheap. The hotel is very clean and the staff are helpful. A few eating places close to the hotel. 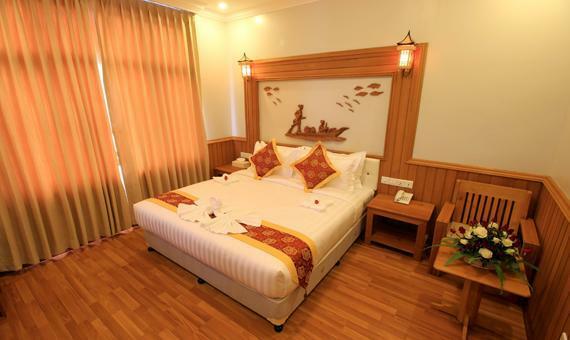 The hotel is well located 5mn from the jetty to go to Lke Inle. Nearby, very good restaurants. We ate at the Beyond Taste, and we loved it ! The staff are all very attentive. At one stage, they bought me medicine when I didn't feel well. We reached early in the morning after 8 hours bus ride from Mandalay . The hotel group general manager , Ma Kyu let us check in earlier, she even upgrade us to bigger room. The hotel staff very good, they booked tut tut for us and a Toyota alphard to take us to the airport with a normal car charges. Will be back to this hotel again in future and last word those who like to travel should come to Inle Lake to see their natural beauty, untouch and serenity with panorama pictures taken by your camera . Clean rooms ,Nice view and in centre of town. Pleasant stay! room is ok. a little small, but itis clean. breakfast is good , but not great. 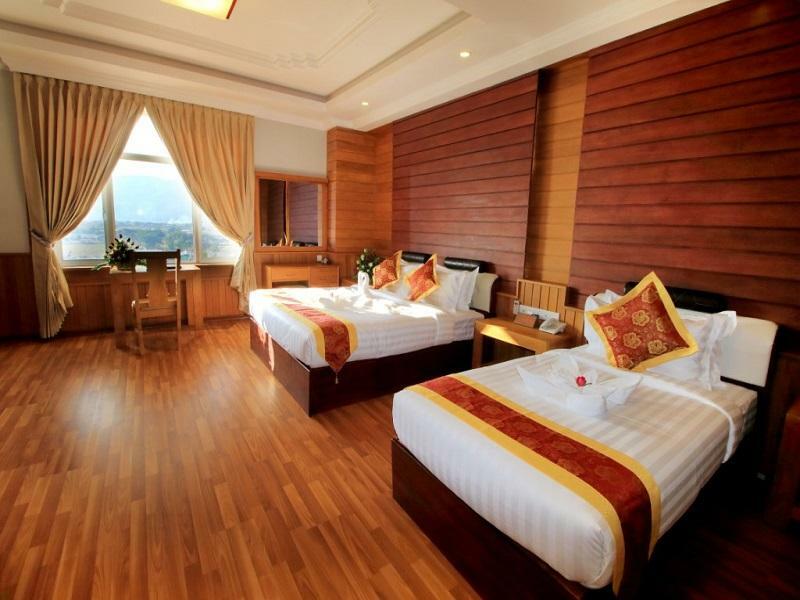 Over all the hotel was very nice, we'll located for inle lake tours and the staff was nice. Only downside was the bathroom - some mold between the bath and the wall and no shower curtain so the water wet all the floor. Breakfast was decent. This is the highest building in Nyaung Sheu. Can watch sunrise and sunset in sky bar. Nearest jetty to go Inle lake. Hotel located in a quiet place. Manager did her best to support. breakfast is OK as well. My room was big,, very clean & comfortable. The decor was a bit bland but overall good value. The location is close to the jetty with lots of places to eat nearby. Hotel staff is friendly, hotel also quit clean. Location was a short walk to the boat ride. Many food options along the same street. The rooftop restaurant where we had breakfast and sunset drinks is perfect for sunrise and sunset view, considering that it’s possibly the tallest building in the area. And it’s cheap, so why not! As a solo traveller, I need to take care of a lot of details such as itinerary and safety. The staff at Cherry Queen is very helpful to arrange my boat tour, cooking class and to answer any questions I had before and during my trip to Inle. The hotel is at an excellent location. The room comes with a balcony with nice morning view. You can watch sunrise without getting out of the hotel. It is clean and gives a comfortable stay. Overall, I enjoy my stay with them. The hotel is new and modern 7floor building. On top there is terrace with tables where you can order food from restaurant. We were given room on 6 floor with balcony and great view. You should probably ask for a room on higher floor for better view. Hotel location is just perfect. 1minute on foot to the canal where you can hire boat for Inle lake tour. We arrived by night bus from Bagan and the bus stop is just a few blocks away from the hotel (download offline Google map and you can easily walk). It was 7a.m , but our room was ready and they checked us in. There are plenty of restaurants and shops around. The hotel staff organized us airport transfer the next morning (it's 1 hour drive). 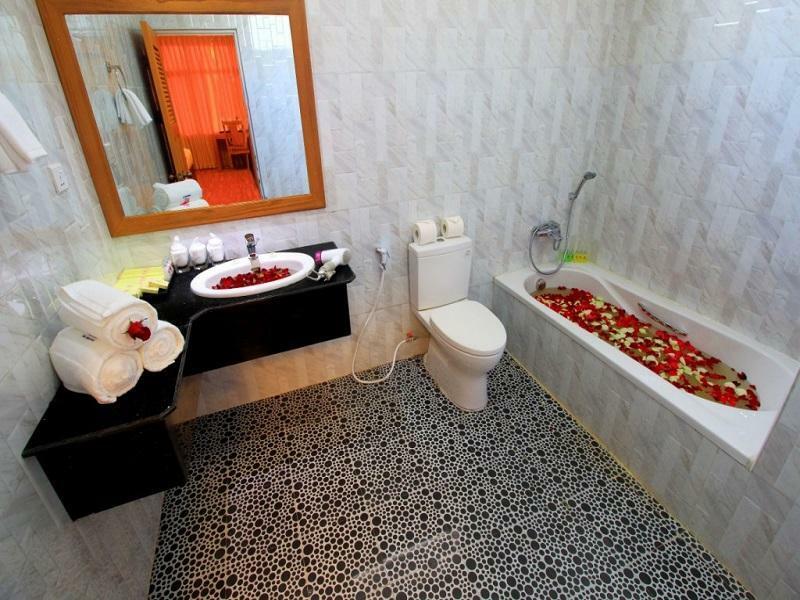 We are very much satisfied with the hotel and the staff. Spent New Years Eve here. They let fireworks off from the rooftop! Great views up there, it is one of the tallest buildings in Nyaung Shwe. You can see the beginning of the lake and good mountain scenery. Basic room was good, spacious. A bit of noise from the in-house massage service desk where staff talked until midnight, it echoes a lot from the hallway. Didn’t bother us too much. Location good, not far from the boat jetty and ~10 minute walk from the JJ bus station. They gave us a room when we arrived at 6am from the overnight bus which I thought was very kind, just make sure you choose your arrival time appropriately when booking on Agoda. Great staff. Would happily stay here again. We were only in Inle for a short stay (1 day) so we wanted to make the most of it, and the staff here was helpful in setting us up with transportation and booking in a lake tour for us to start right at our arrival. The bed was comfortable. I felt that the bathroom cleanliness could have been improved around the edges but overall was OK.